There’s no denying that a beach destination wedding is a dream for many couples around the world. Saying “I do” with the waves gently lapping in the background and the sun sinking below the horizon is like a scene from a modern-day fairy tale. Mexico Beach, Florida, on the Gulf of Mexico is a perfect place for your quiet nuptials and celebration on sugary white sands. Let the local experts plan every detail to perfection and help your Big Day go smoothly, any time of year! It might seem like the obvious reason, but we can’t express our love for our beaches enough. The white sands almost look like snow on the ground. This is thanks to the fine quartz crystals that have been carried down from the Appalachian Mountains by streams and rivers, then deposited into the Gulf of Mexico just east of Mexico Beach. The dazzling white sand and clean water attract visitors from far and wide to our shores and make an exceptional backdrop for wedding ceremonies and photos year-round. There are also plenty of churches and wedding chapels nearby to host your ceremony if you so desire. Have you ever visited the beach and seen an altar and chairs being set up nearby with a load of tourists lounging in the background? You might have thought, “I wouldn’t want all those strangers in my wedding photos.” Mexico Beach is a quiet little oasis, tucked away from the hustle and bustle of bigger beach towns in Northwest Florida. Here, there are no high-rise condos, no traffic lights, and no huge crowds to spoil your trip. The locals take pride in the fact that the area is part of the “Forgotten Coast,” where the Old Florida lifestyle is serene and respectful of nature. 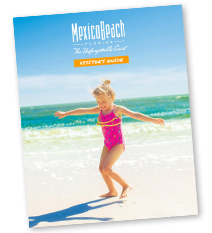 Of course, we like to call Mexico Beach “The Unforgettable Coast” instead. You’re sure to make memories here that will last a lifetime—especially when you say “I do” with your loved one on our shores! One of our favorite things about weddings on the beach is seeing loving couples return to our shores to renew their vows. 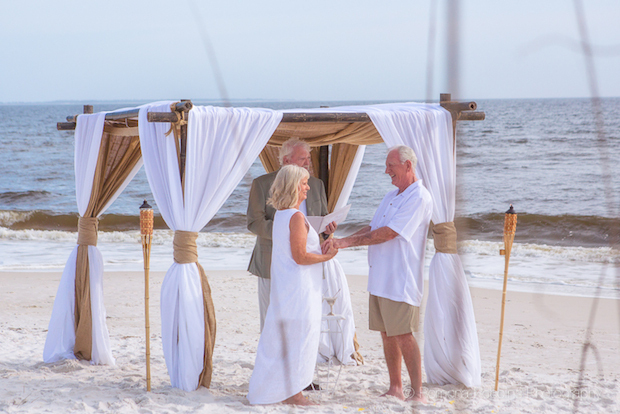 Beach vow renewals are beautiful, and many people flock to Mexico Beach to say “I still do” every year. A vow renewal ceremony can be the perfect excuse for an anniversary trip, a family reunion, or just a weekend getaway with your honey! 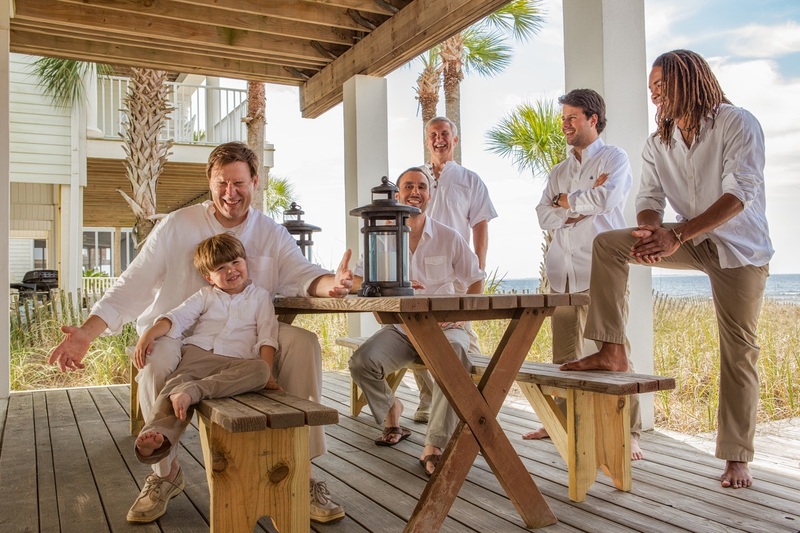 Plus—each year, Mexico Beach invites couples to join us for the Annual Vow Renewal Ceremony, where we provide all the details and all you have to do is sign up to join. Our 2017 event took place on April 8 near Sunset Park, with nearly 30 couples enjoying an afternoon celebration on the beach with their families and loved ones. A complimentary reception followed, and all who participated had a great time! Check out photos from our three spectacular mass vow renewal events here. These are just a few of the best reasons to plan your dream beach wedding with us here on The Unforgettable Coast. Learn more on our Weddings page and give us a call if you have any questions at (850) 648-8196 or (888) 723-2546. We’d be happy to assist you. We hope to see you and your loved ones soon!